There are many characteristics and competencies that must pertain to a person for the ideal job fit. Every role requires different ones, such as charisma, fearlessness, confidence and being cool under pressure. It just so happens that the latter characteristics are all typical of a psychopathic character. 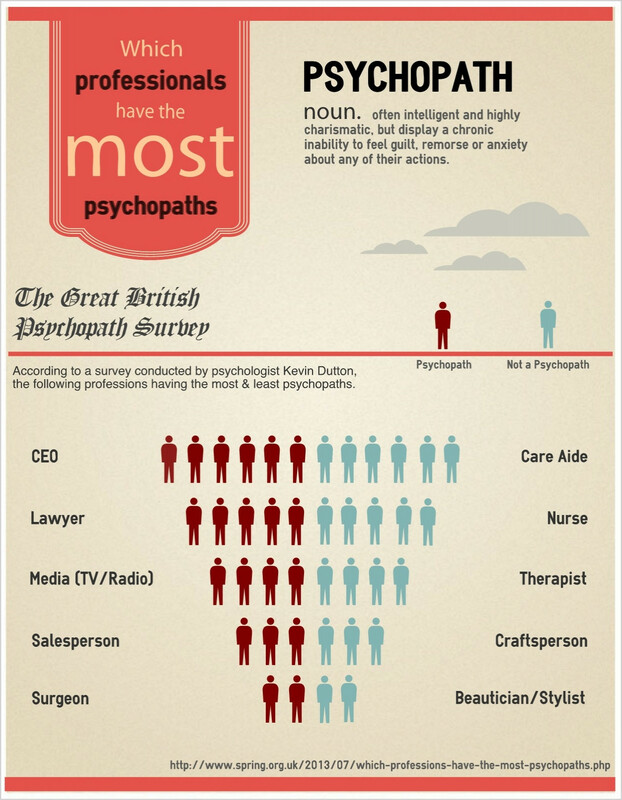 The above does not necessarily mean that one has to be a psychopath to be a CEO or a Lawyer, but rather that there is an overlap between psychopathic traits and the type of people who go into those professions. To find out more about the study click here.